Ukrainian Official Urges UK Navy To Cross Kerch Strait "To See How Russia Reacts"
Despite relative calm ensuing in the area of the dangerous Nov. 25 Kerch Strait incident, Ukrainian officials have continued making media statements suggesting escalation could still yet be on the horizon. On Friday a deputy minister in Kiev urged the British Navy to send a warship to the Sea of Azov to test Russia’s response. 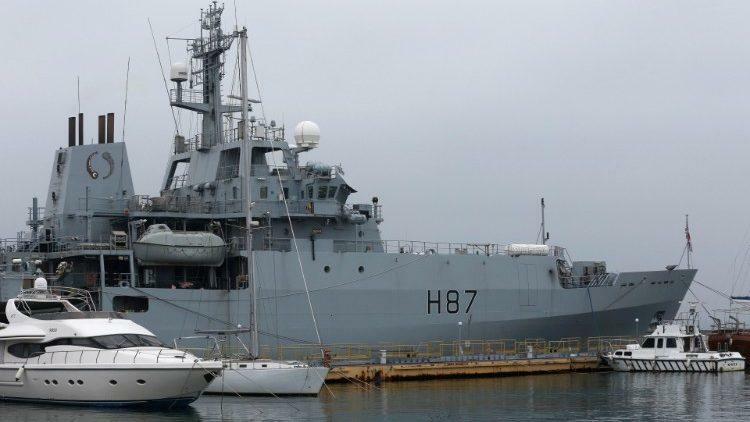 The appeal came at a moment when the UK Secretary of State for Defence Gavin Williamson met with Ukrainian officials to reiterate that "The UK is a steadfast partner to Ukraine as it faces illegal acts of aggression on its sovereign territory," according to a statement, and as an unarmed UK surveillance ship, the HMS Echo, is deployed to the Black Sea. A high ranking deputy minister involved in seeking the return of Crimea to Ukraine named Yuri Hrymchak, said on a televised political talk show on Friday, “When it is being said that Russia won’t allow the passage of a British ship, I have one remark – has anyone tried it?” — according to a translation of the provocative comments by RT. Moscow subsequently described the idea as "bonkers," according to RT. The Ukrainian official added, “And it would be interesting to see how will [the Russians] would react if this ship sailed in a caravan” through the Kerch Strait, according to the live broadcast, later uploaded to the station's YouTube channel. In late November, just days following the Russian seizure of three Ukrainian naval vessels and their crew over what Moscow described as "performing dangerous maneuvers" in violation of a 2003 treaty ensuring shared access to the Kerch Strait and Sea of Azov, the UK announced the deployment of the hydrographic survey ship, HMS Echo to the area, and perhaps more significantly would consider committing more troops to Ukraine. The Ministry of Defence said the unarmed monitoring vessel's mission is to “demonstrate the UK’s support to ensuring freedom of navigation”. Immediately some current and former defense officials blasted the move as too weak, urging instead that a warship should be sent to the region. Former commander of the Royal Navy, Admiral Lord West, for example said after the Russia-Ukraine flare up in the Kerch Strait: “The minister will be aware that it has been stated that we are sending a warship to Black Sea. That warship as I understand it is actually a survey ship." No doubt officials in Kiev would like to see this too, but it appears cooler minds have prevailed as clearly Ukrainian ministers are hoping to draw NATO allies into unnecessary escalation with Moscow in their defense. 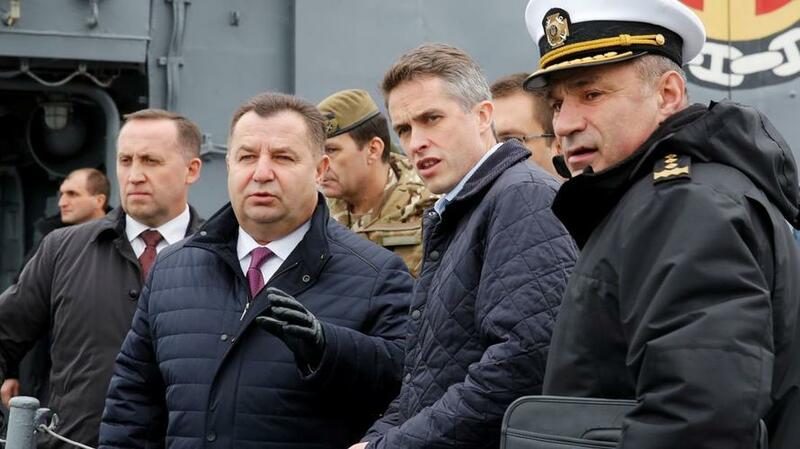 The HMS Echo entered the Black Sea early last week and first stopped at the port of Odessa - home to a Ukrainian naval base - where it was visited by Secretary of State for Defense Gavin Williamson during his trip to Ukraine.